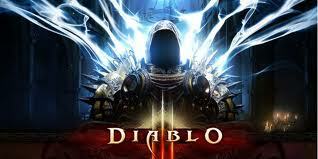 In September, Blizzard Entertainment began sending out closed Beta Testing invites for the highly anticipated Diablo III. While it seems there have been a rather limited number of these highly sought after beta invites, I have been fortunate enough to have a friend ( thanks again Mike!) who has been kind enough to allow me to watch him play the game in order to write this series of content previews for the GTN readers! For anyone who has played the first two Diablo games, Diablo III will certainly have a look and feel of familiarity to it. Blizzard Entertainment has decided to keep the same overhead view that this classic dungeon crawler has always had. However, Blizzard did put in a considerable amount of effort to update their graphics, bringing around a stunning new environment. In addition to the upgraded look of Diablo III, there are a few new features that have been added to the game that any veteran Diablo III player will quickly recognize. Keeping with tradition, Blizzard Entertainment has maintained two of the classes that have appeared in both of the previous games, the Barbarian and the Wizard ( Alright, Diablo II the “wizard” was called a Sorceress, but hey, they are essentially the same). In addition to these two, Blizzard has added three new original classes, the Monk, Witch Doctor, and the Demon Hunter. Each class can be created with a male or female model. There have also been a few slight interface changes as well as the addition of a new way to craft items. One of the major new changes to the interface is that the player no longer has to allocate points into a talent tree or add points into their character’s base stats. Additionally, unlike the other games, each class has its own resource pool that it uses for the different abilities. Abilities are unlocked as the character levels. Veteran players will also notice that there is no longer a belt system. Instead, Blizzard has decided to use the 1-5 hotkeys as extra ability slots and has made potions stackable. Another new feature that many veteran fans will be happy to see is the stash. While the stash still operates the way it did before, it is now shareable between all of your characters and even allows you to purchase extra storage tabs, should you find yourself short on space. In addition, your gold is also shared across all of your characters. 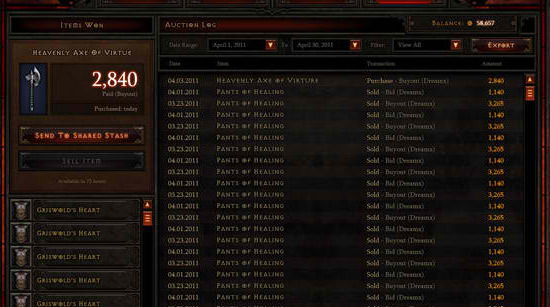 Another new feature seen in Diablo III is the Auction House accessible from the character select screen. For anyone who has played an MMO, this Auction House functions like any other, however, thanks to the gold pooling from all characters, you never have to scrap for money, logging on multiple characters to gather the funds for a purchase. Finally, one of the newest additions to the interface of Diablo III is the Artisan crafting system.During gameplay you unlock artisans who will be available to craft items for you in New Tristram. 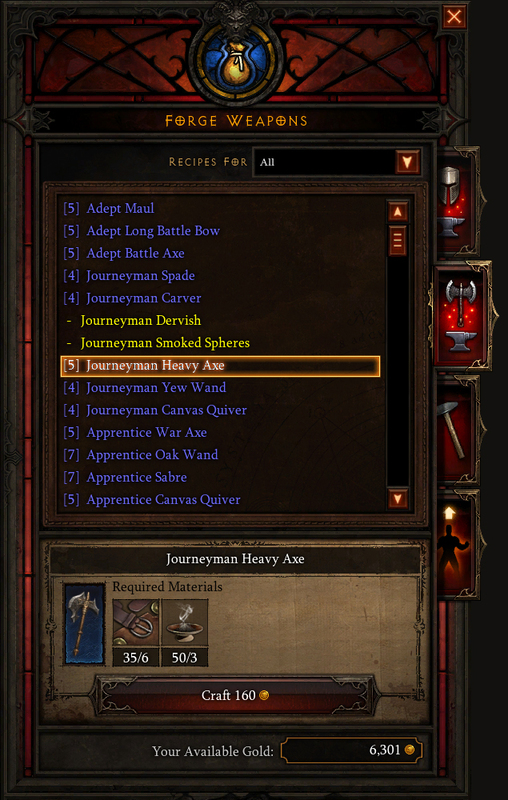 The crafting system itself acts much like the gambling system found in Diablo and Diablo II, only this time, you at least have a rough idea of what stats you will receive from the item before you craft it. Artisans also gain experience whenever they create an item and gain levels, enabling them to make better quality items as well as learning new recipes. Once more, like the Stash and gold, the Artisans are shared between characters, even though they must still be unlocked through their respective quest chains, so you never have to level an Artisan from level one on more than one character. 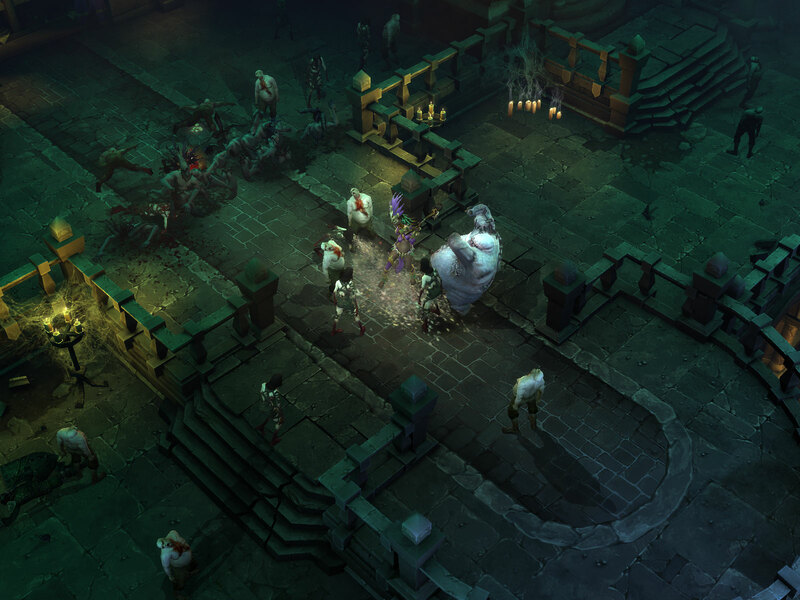 Overall, Diablo III is definitely a game to look forward to especially if you have played the other games. Many of the new features bring a new light to the game, helping make this classic dungeon crawler a game that anyone can play. As the title of this post implies, there will be a few more posts looking into everything that can be seen about Diablo III, to include in depth class previews. Love this review, explaining everything, definitely a game worth investing in. Blizzard might be losing a world of warcraft customer and gaining a Diablo III one instead but only time will tell. Definitely looks awesome though. Mind if I ask what made you choose to leave WOW? Just interested as their subscription numbers seem to be on the down and there’s not really been many reasons thrown round by anyone.